LDS, author Dan Wells presented at the Orem Library, Tuesday afternoon. He explained that he is considered a psychological horror author -not just a plain old horror author. His publisher decided it sounds better (it actually does, right? Like it's smart. Which Dan's writing is). He talked about his John Cleaver trilogy (and future John Cleaver books and a potential movie), his upcoming post-apocalyptic, YA book, Partials (first in a series), and the Extreme Makeover book he's also currently working on. It was a great lecture, I took notes (which I'll share eventually). Wednesday was a sneak attack book signing by LDS, best-selling, YA author Obert Skye. It took place at the Orem Barnes & Noble as part of the Dixon Middle School book fair. Igot a bunch of stuff signed including books, posters, bookmarks, and Pillage samplers. We had a great conversation. Obert's a real stand-up guy. He's been touring for his most recent book Wonkenstein: The Creature From My Closet, first in a TWELVE book series, featuring his own illustrations. 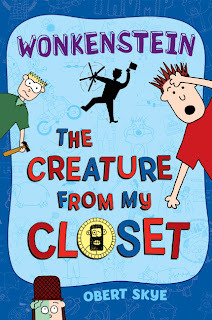 The series is along the lines of Diary of a Wimpy Kid -except with creatures. Check out the book trailer here. Storyteller and author Donald Davis came to the Orem Library Thursday evening, but sadly, I didn't go. Did any of you? I had a meet up with a friend concerning a Grimm's fairy tale book club. And I also got lost. But then I had cheesecake a cocoa with my Wee One at Denny's (and my friend and her friend) so it all turned out okay. I think that maybe Donald Davis will be back. He takes part in the Timpanogos Storytelling Festival each year, I believe. I shall get a copy of his Appalachian tales signed yet. Mon. Nov. 7th at 9 PM to Tues., Nov. 8th at 2 AM will be Brandon Sanderson's Alloy of Law Midnight Release Party (it's the fourth book in his Mistbourn series). If you're going to this event, you need to know the specifics. Please go to Brandon's page for the complete run-down.The event will take place in the BYU Bookstore on Brigham Young university campus. 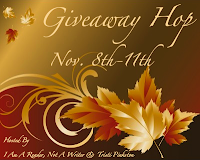 I'm participating in the November Blog Hop Giveaway, Nov 8 - 11! LDS, YA author Jenni James has agreed to personalize a paperback copy of her debut novel Pride & Popularity for one lucky winner! 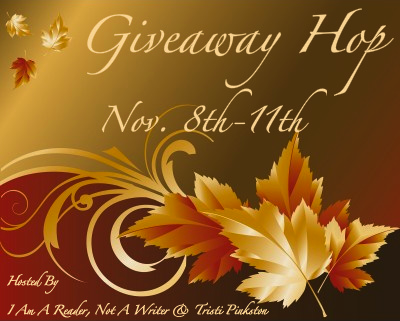 Check back on Tues., Nov. 8th to enter the giveaway (winner will be announced Nov. 12th)! The BYU Young Company will be doing a free performance of the play, "Hundred Dresses" (based on the book by Eleanor Estes), Mon., Nov. 7th, at 7 PM in the Orem Library's storytelling wing. Click here for more info. The BYU Bookstore will be hosting their annual Holiday Book Talk on Tues., Nov. 8th from 4 - 5 PM in the auditorium of the Harold B. Lee Library (1st floor) on BYU campus. "Bookstore supervisor Anita Charles will present. Those in attendance will learn about the latest titles, hear short summaries of the works and have a chance to receive free copies of the newest books" (from the BYU calendar). Yippee! LDS, YA, debut author Melissa Lemon will be signing her brand-spankin'-new book, Cinder & Ella at the Orem Costco, Fri., Nov. 11th from 5 - 9 PM. Check out her awesome book trailer! Sat., Nov. 12th is the Provo City library's TEEN BOOK FEST! featuring LDS, YA distopian authors Ally Condie (Matched trilogy), Robison Wells (Variant), Kristen Landon (The Limit), and Elana Johnson (Possession). Aahahahhh, I can't wait! The event will kick-off with a key-note address by Ally Condie at 12 PM. (the tickets are available now & free -BUT YOU NEED ONE FOR THE LECTURE). The rest of the Fest does not require a ticket (and is still free) and goes from 1 - 5 PM in the Academy Wing. 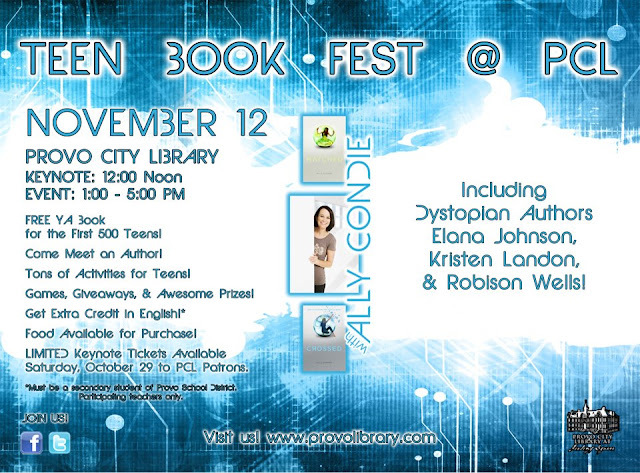 Please go to the Provo Library's Teen Book Fest page for all of the details.